3. 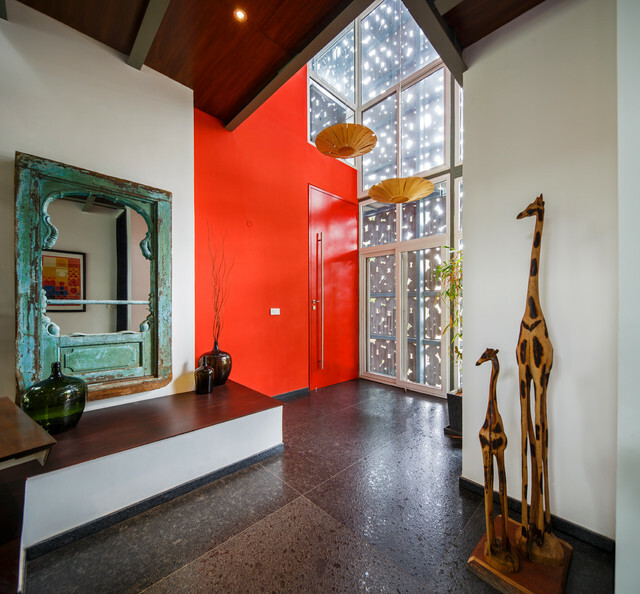 Mathew & Ghosh Architects show how a single contrasting element can change the look and feel of a room. The bright red paint on the double-height wall creates a stark effect, and the dark flooring and the sculptures imbue the space with a modern, quirky vibe. Bringing a slice of the traditional, however, is the vintage mirrored window frame in distressed green. A nice transitional style, this.